The genesis of what later turned out to be an executive team development process with TeachingHorse was a lunch between the two women. During their conversation, Elizabeth recalls how June helped her reframe her thinking about how to best address the “hurt and dissatisfaction” present in her new work environment. In essence, Elizabeth was reminded that she needed to focus on developing herself to be the leader the team needed, not try to change the team to fit her style. Elizabeth did make great strides in her own personal journey, and it was also decided that her entire team would benefit from a shared development process with TeachingHorse. The prospect of team building via the unique and experiential TeachingHorse process was initially greeted with a mixed response. 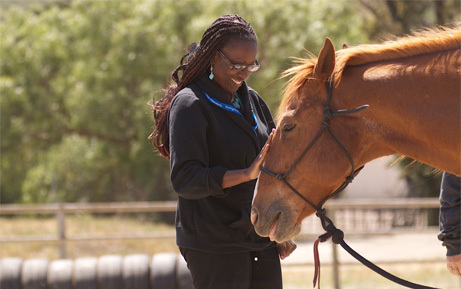 Elizabeth remembers one team member in particular—whom she describes as “systematic and logical”—becoming “the talk of the whole team” because of her initial interaction with a horse. The team member, dubious about the whole experience, found a horse leaning its head upon her shoulder. She was overcome with emotion because “she felt the love of the horse,” according to Elizabeth. The moment was transformative because she could now see the power of creating connections with people entrusting you to lead them. Once the connection was created with the horse, the horse followed her with ease; without that connection, there was no movement. The lack of connection was getting in the way of this team member’s work. And now she pays much closer attention to the relationships with the people she leads. There were other team members (struggling to adapt to altered company roles) who learned concrete ideas at TeachingHorse that they could take back to the office. One person was attempting to instruct a horse to move, but was doing so in a confusing tone that was both serious and playful. Needless to say, her attempts were futile, until a facilitator helped her see that she was sending mixed messages. We often try to soften serious messages with playful cheerleading. 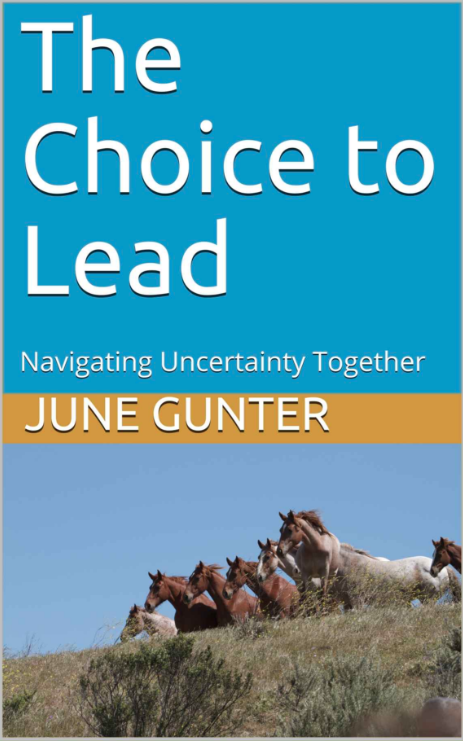 Horses experience mixed signals like these as a lack of clarity on the part of the leader. So do people. This team member had to choose to lead with clarity and decisiveness. When she was able to embody that clarity, the horse responded in kind.